Hey all Spanish lovers enjoy your favourite Word Search game in Spanish Language. WordSearch is the unique and ultimate word puzzle game which has low-eyestrain color scheme.Apply your Brain to solve riddles, build your vocabulary as well. Cross out all the words that are hidden in the grid by sliding from letter to letter and discover the secret word. # Infinite number of wordsearch puzzles to boggle your mind! Try your hand and eye at this interactive word search and see how quickly you can complete the flowing chart of words. Each Challenge yourself see just how quickly you can solve the riddles in this free fun word search game by Apps2Win! 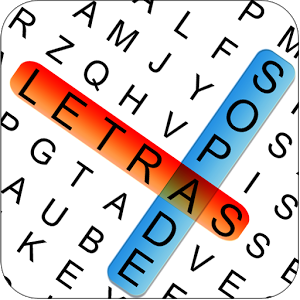 Put your vocabulary and attention to detail to the test in this free word search puzzle game. While other word search games limit the type of words to be found to just one category, this awesome word search presents you with an array of words to keep you on your toes. There are two different color scale modes for you to choose from, so select the play style that suits you best to your eye and begin your search in this fun free word search game! You can change the Color Scale in this free word search puzzle games by Apps2Win.